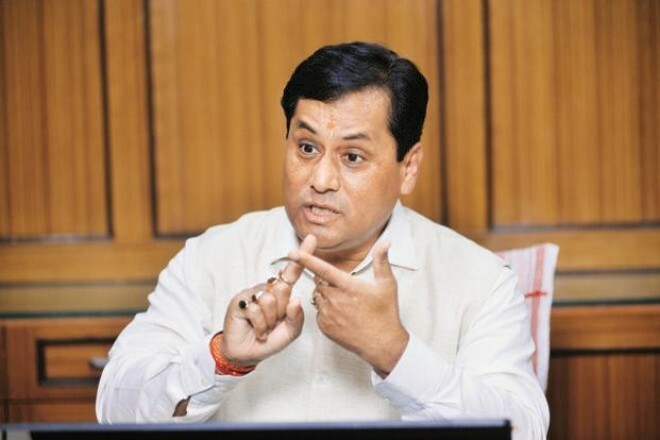 New Delhi, Feb 18: Assam chief minister Sarbananda Sonowal on Sunday likened the Pulwama terror incident, in which 40 Central Reserve Police Forces personnel were killed, to the "attacks of Mughals". The chief minister was addressing a public rally of the Bhartiya Janata Yuva Morcha Lakhimpur in presence of Bharatiya Janata Party president Amit Shah. "The recent Kashmir incident is an Islamist terrorist attack on India. Our brave jawans were martyred and I pay my sincere homage to them. "... We have to continue the fight against the Mughals even today. The attack of the Mughals is not over yet and the Kashmir incident is proof of that," Sonowal said. Forty CRPF jawans were killed and five injured when a Jaish suicide bomber rammed his explosives-laden vehicle into a bus carrying the soldiers on Thursday, nearly 20 kilometers outside Srinagar. The bus was part of a convoy of 78 vehicles in which the CRPF soldiers were heading to the Kashmir Valley.